Central Queensland is made up of Capricorn and Gladstone, two of Queensland’s popular tourist regions, which include the Local Government areas of Rockhampton, Gladstone, Banana, and the Central Highlands. Guests travel to the region for its natural and heritage attractions, beaches, and the many activities on offer for various demographics. 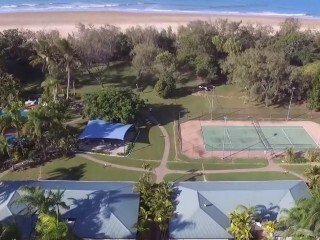 With the coast meeting the rainforest, visitors to Central Queensland enjoy water activities such as surfing, windsurfing, kayaking and swimming, as well as outdoor adventures such as hiking, river trekking, relaxing in fresh springs, or fossicking in the local Sapphire Gemfields. Local townships also offer a range of arts and cultural experiences for visitors, with a number of art galleries, race days, and events held throughout the year. Events such as the Capricorn Food and Wine Festival and the Central Highlands Multicultural Festival in particular draw domestic visitors to the area for short periods throughout the year. For domestic visitors travelling to the region by car, Central Queensland has a road network of major highways and sealed roads, including the Gregory and Capricorn Highways which weave throughout the region. For visitors travelling by air from other areas of Queensland, Rockhampton Airport offers some flights from Brisbane, Townsville, Cairns, and the Gold Coast. The 148,000 international visitors travelling to Central Queensland each year can easily reach the region via Mackay Airport with a short drive or transfer. The region has a subtropical climate, with summer temperatures ranging between 22 and 32 degrees, and between nine and 23 degrees over the winter months. With comfortable temperatures throughout the year, guests visit during each season. The region’s peak period exists over the summer school holidays, with holidaymakers from cooler states also opting to travel north in winter for some warmer weather. These times are generally the busiest for accommodation providers and local businesses. The region has seen an increase in infrastructure in recent years, with increased demand from tourists and the local population. Central Queensland is home to hundreds of accommodation options, from budget backpacker hostels and holiday parks, through to luxury serviced apartment rentals, bed and breakfasts, hotels and eco-resorts. 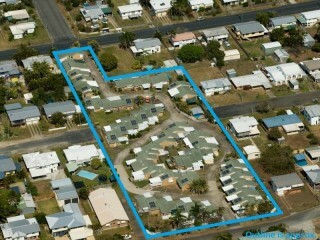 Please see our current selection of Central Queensland Management Rights for sale below.